I've successfully loaded RaYMoN's BIOS, and everything looks decent except for one issue. When OC'd @ 4.6Ghz, CPU-Z is reporting that my core voltage is occasionally hitting 1.4v+ (!!) That max safe vcore for Sandy Bridge is 1.35, and the highest I had before with ZzBloopzZ (and ASUS's) was 1.344-1.352. I have all CPU power savings turned on. All C states enabled. Internal PLL overvoltage disabled (was always previously enabled). Spreadspectrum disabled. Speedstep and Enhanced Speedstep enabled. I have left the manual voltages as they were after resetting to optimized defaults. (03-20-2018, 06:17 PM)Cyberia Wrote: I've successfully loaded RaYMoN's BIOS, and everything looks decent except for one issue. When OC'd @ 4.6Ghz, CPU-Z is reporting that my core voltage is occasionally hitting 1.4v+ (!!) That max safe vcore for Sandy Bridge is 1.35, and the highest I had before with ZzBloopzZ (and ASUS's) was 1.344-1.352. Don't use auto CPU voltage, because MB automatically raise voltage for system stability. Set it manually. 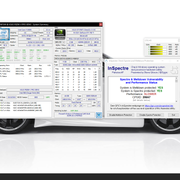 Load-line Calibration in auto can affect on CPU voltage. Set it manually. 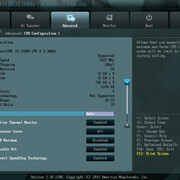 Different versions of CPU microcodes can differently affect overclocking. (03-20-2018, 07:51 PM)Cyberia Wrote: Recommendations for those? CPU Offset Voltage -> start from Auto and check CPU-Z Vcore voltage, than add 0.005V and check CPU-Z again. 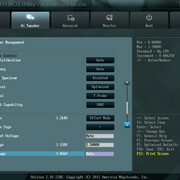 You need to add offset to desired 1.350V in CPU-Z. 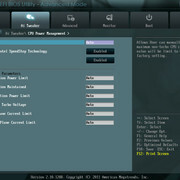 Offset Mode is preferable with power saving options enabled. (03-13-2018, 12:02 PM)RaYMaN Wrote: Intel releases new Spectre microcode update for Sandy/Ivy Bridge! ASUS P8Z68-V PRO/GEN3 BIOS 3802 with SLIC 2.1, NVMe and all OROMS/LAN/VGA updated. Used UBU Tool version 1.69.16 and PhoenixTool 2.73 (for adding SLIC). Fully tested by my self using Asus EZ Flash 2 utility. 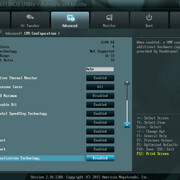 Download modified 3802 BIOS from HERE. 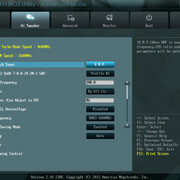 Is this version going to work on P8Z68-V GEN3 (NON-PRO) MOBO? 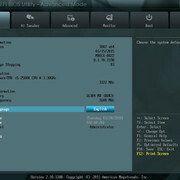 The latest BIOS version that I've found available on Asus website is 3603. Is it possible to add a proper UEFI mod to this BIOS? My last two video cards (AMD and Nvidia) would not even POST with the "BIOS Compatibility" option set to "EFI Compatible" instead I've had to use the Legacy option.